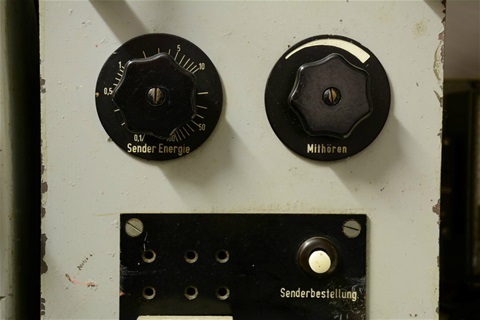 The center position, Empfänger Ein (receiver on) Sender Vorheizen (transmitter pre-heat), is required because you do not want to apply anode voltage to the transmitter power amplifier tubes without having first applied power to the heater filaments of those tubes for about a minute. Many thanks to Frank Doerenberg for this information. 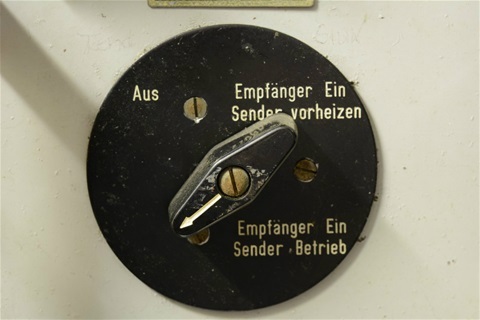 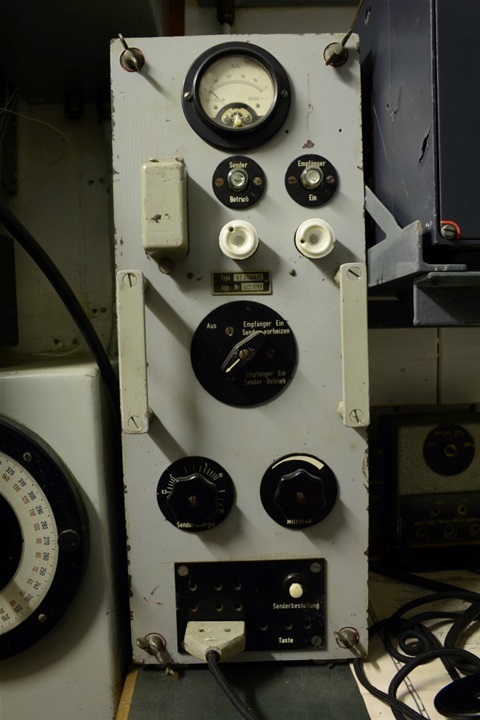 The "Sender Energie" knob is for transmitter power, either as a modulation-level control (volume control for the audio input) or to vary the anode voltage. * The EBG operated on 220 volts A/C.